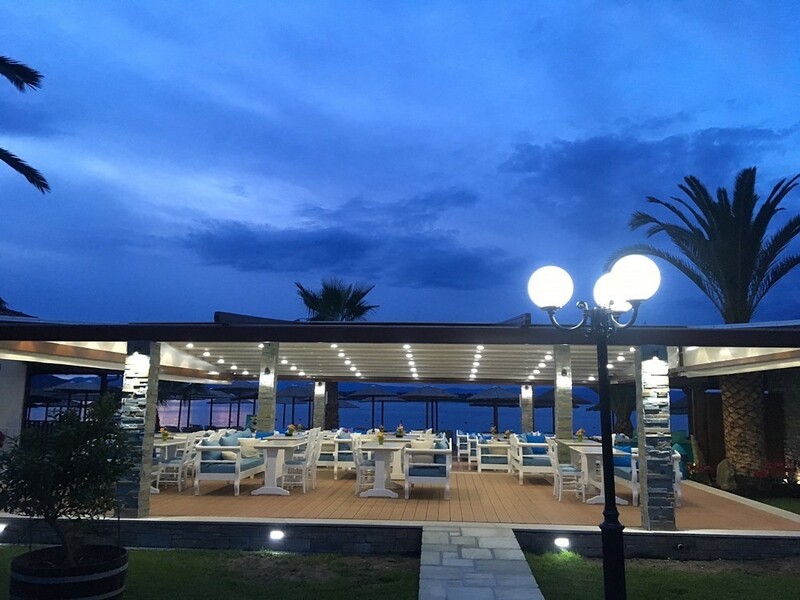 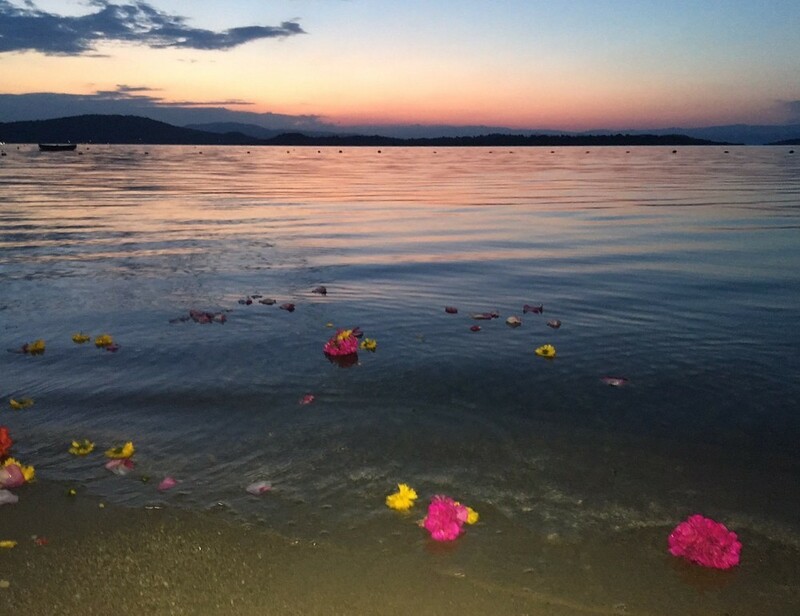 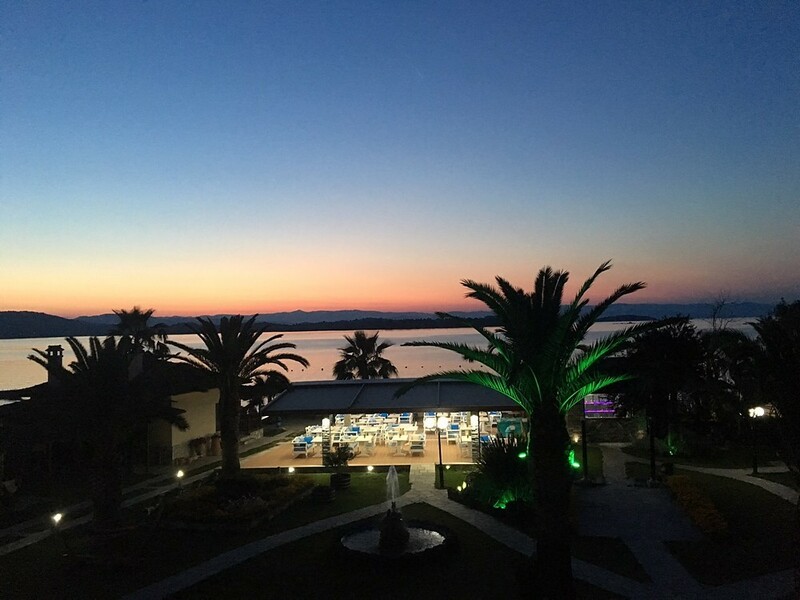 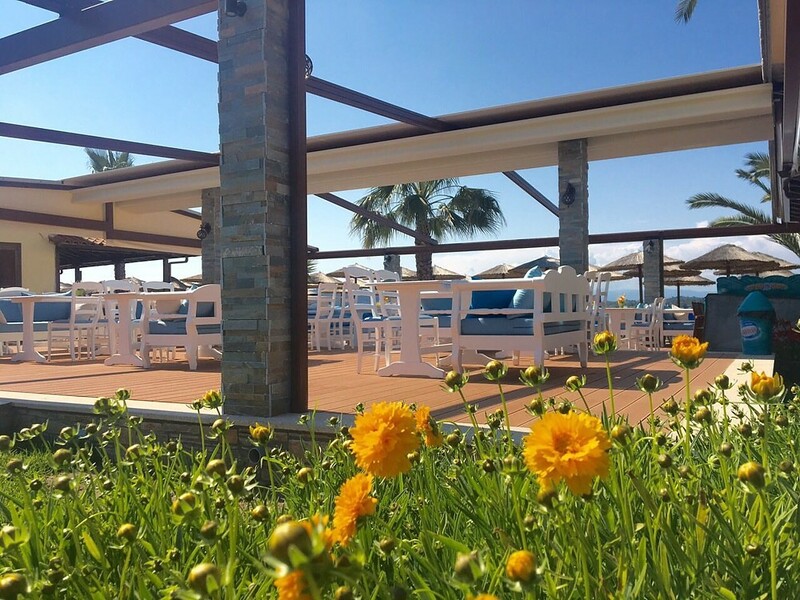 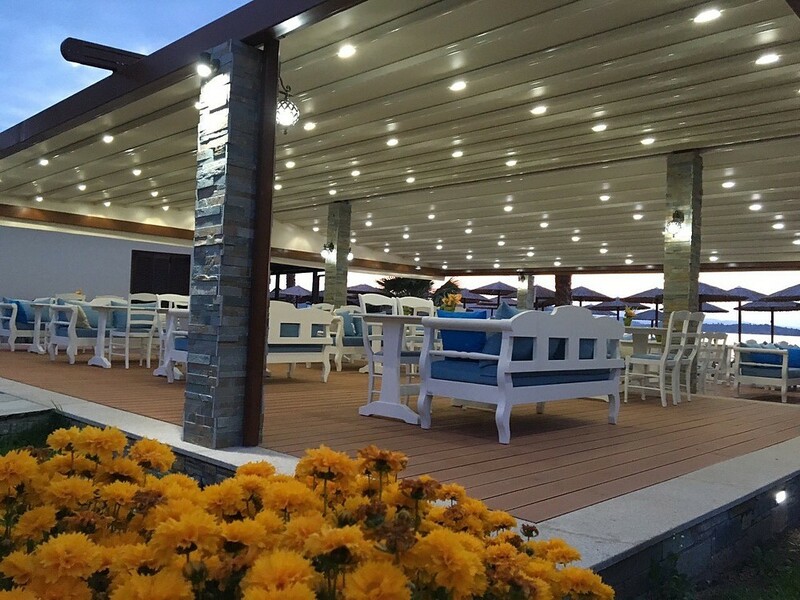 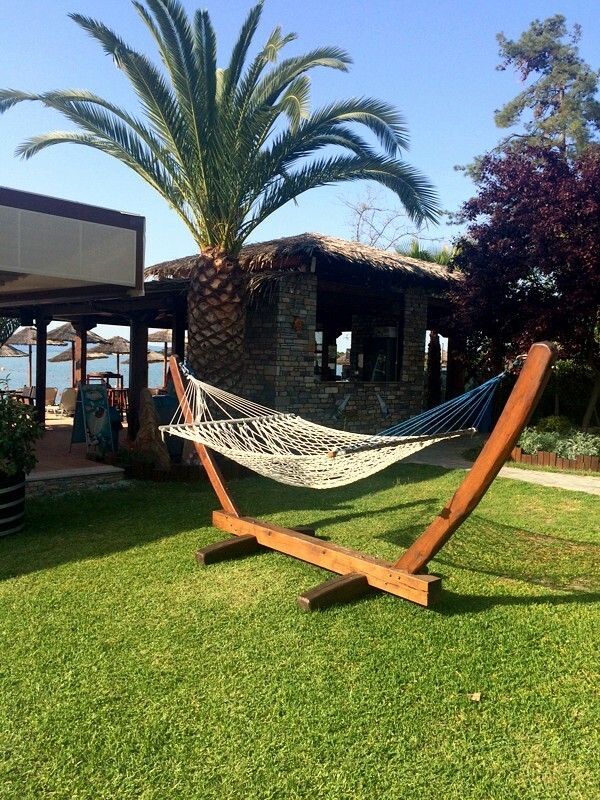 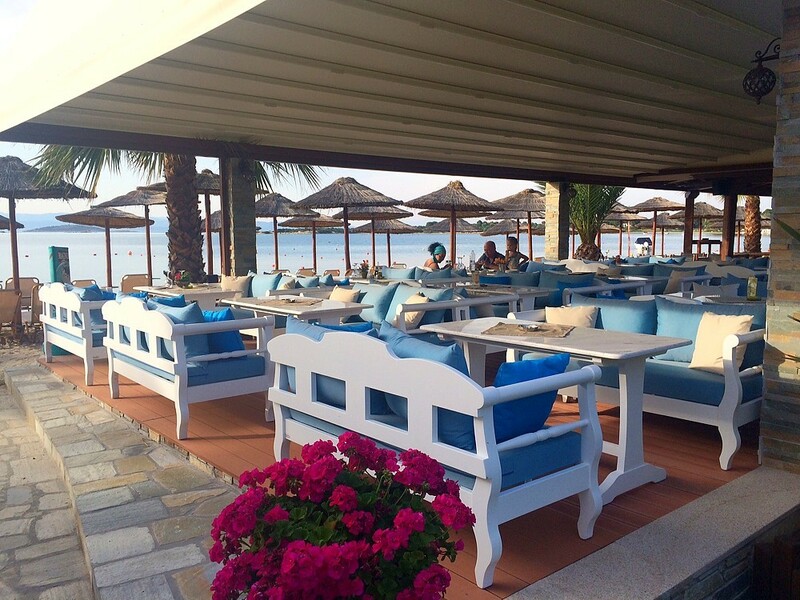 Hotel Vergos is in an exceptional location with an easily accessible sandy beach. 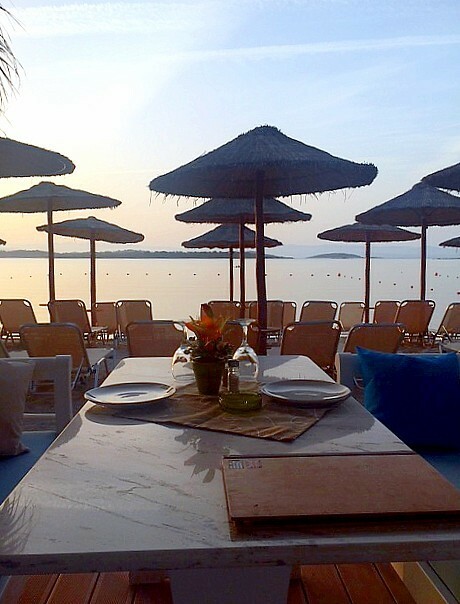 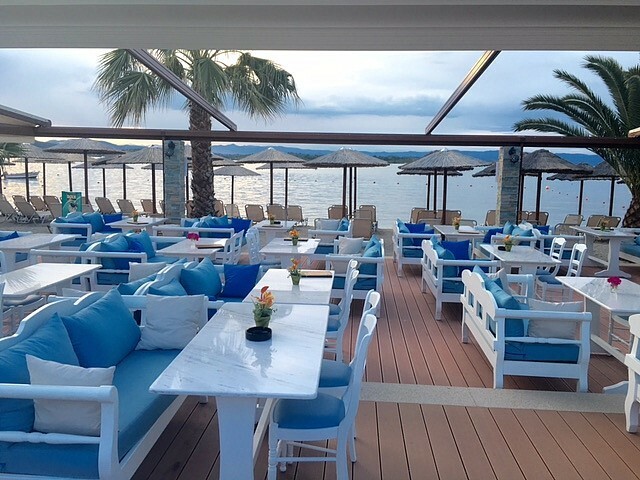 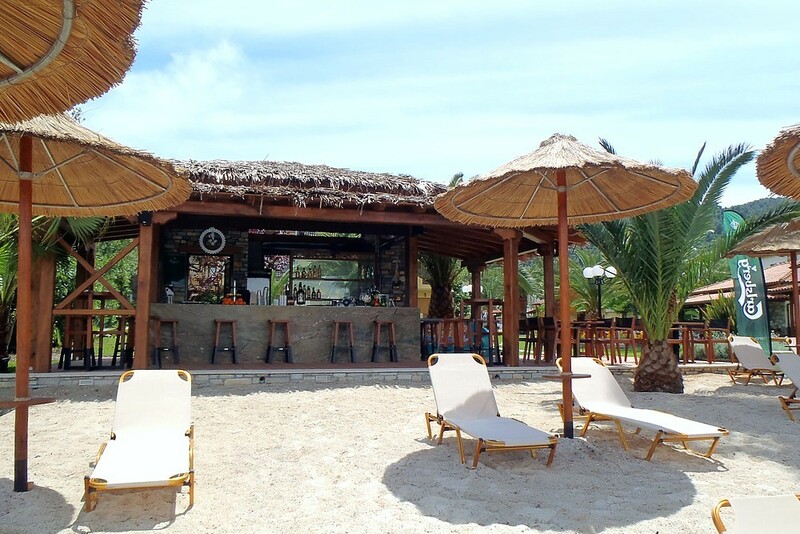 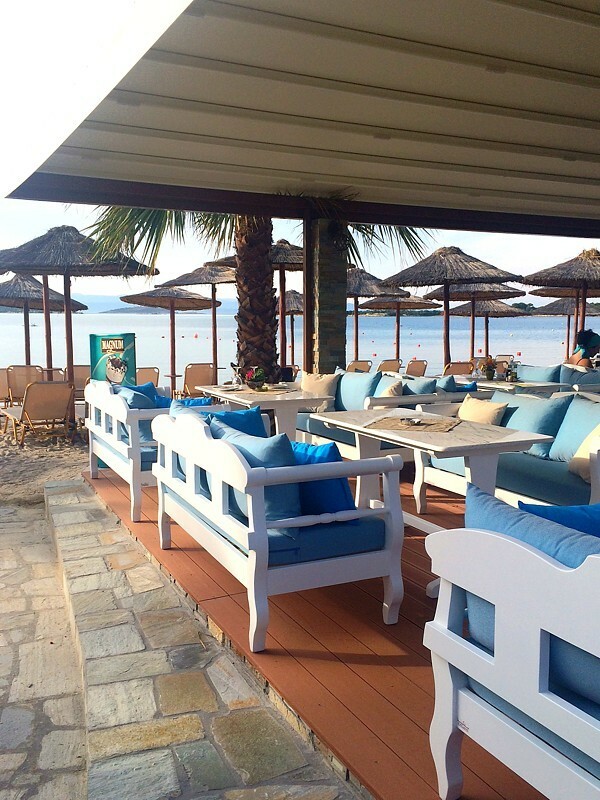 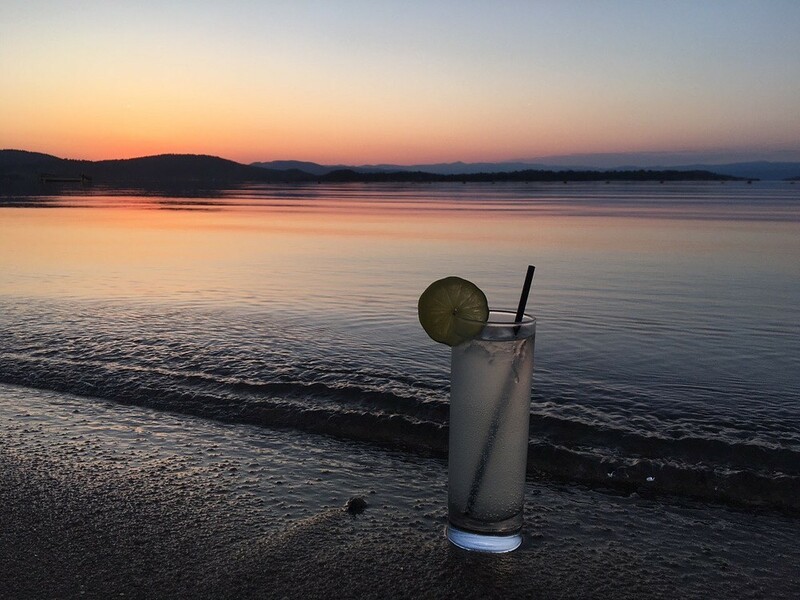 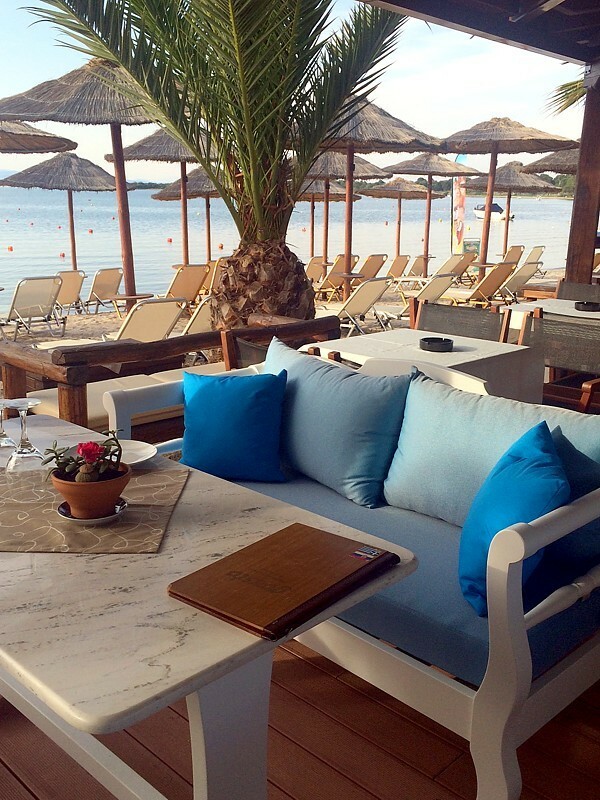 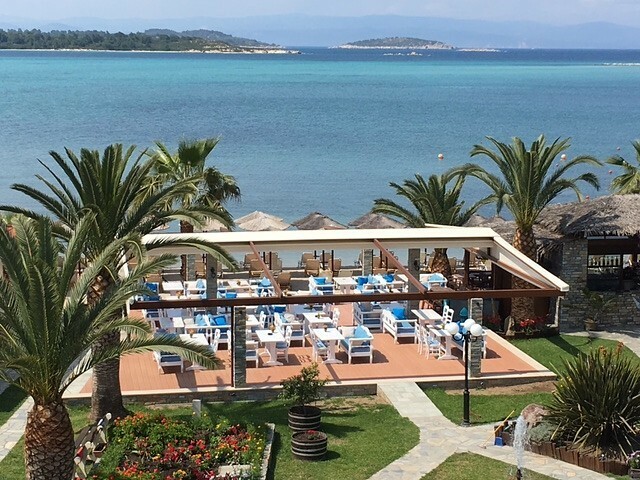 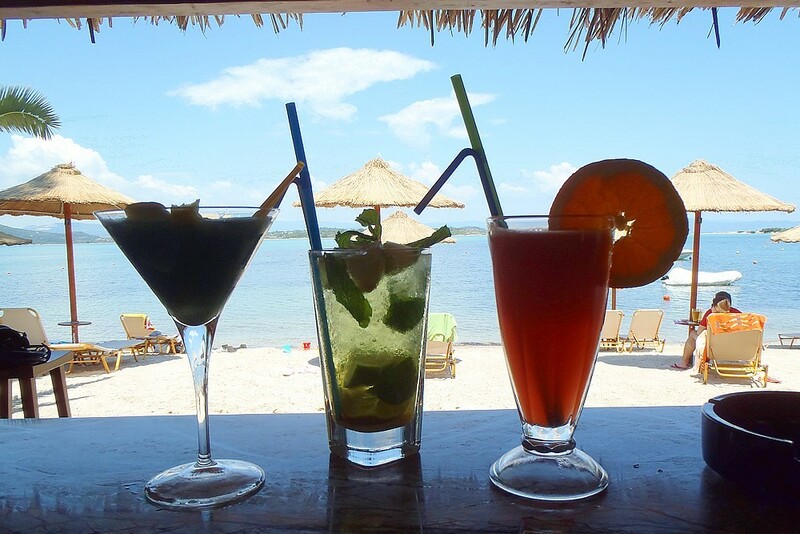 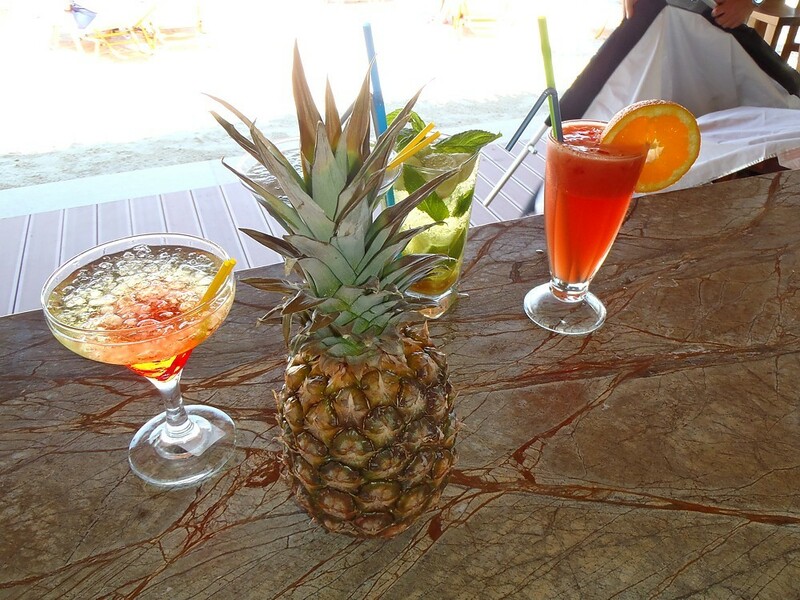 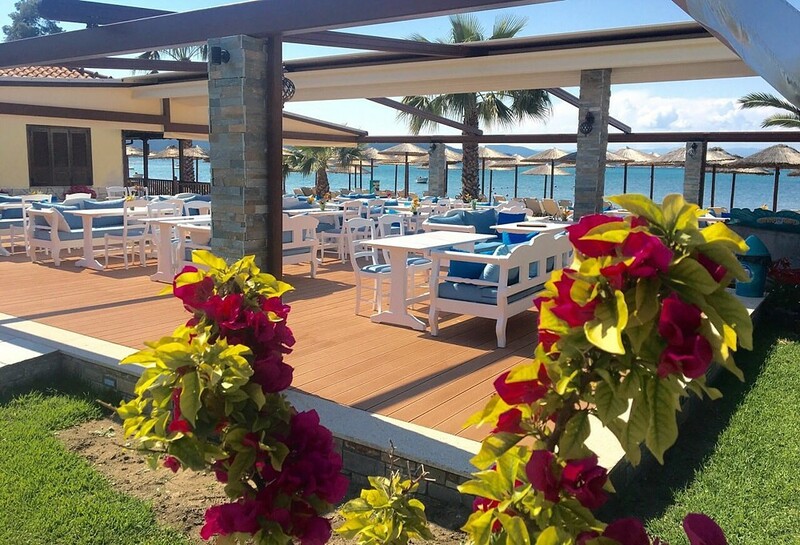 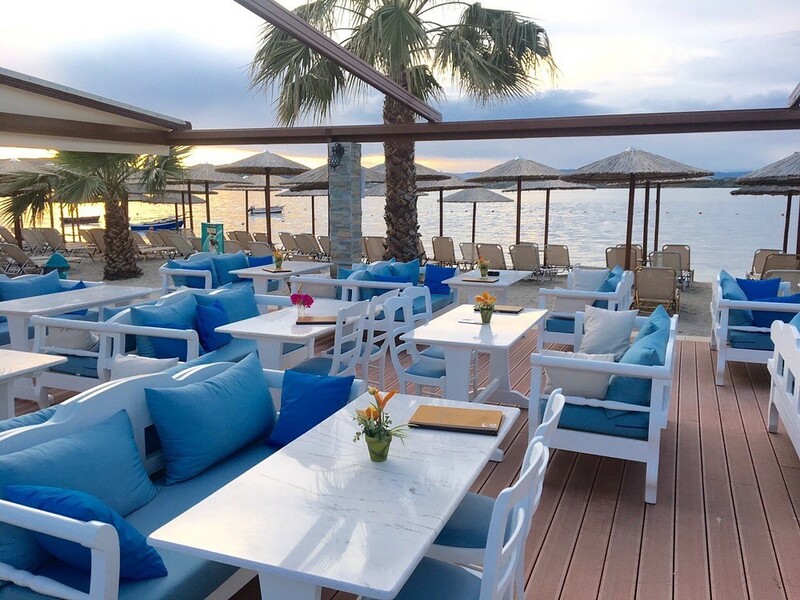 Here you will find the hotel's Beach Bar on the water's edge. 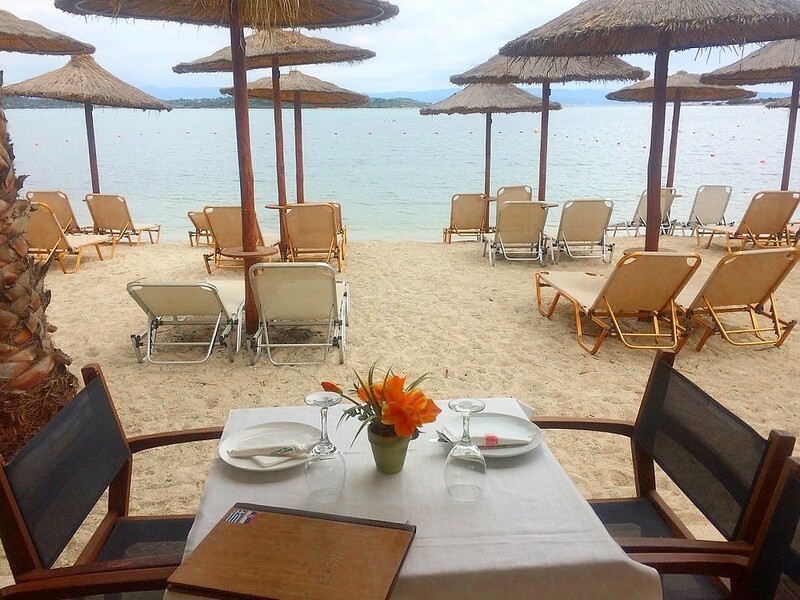 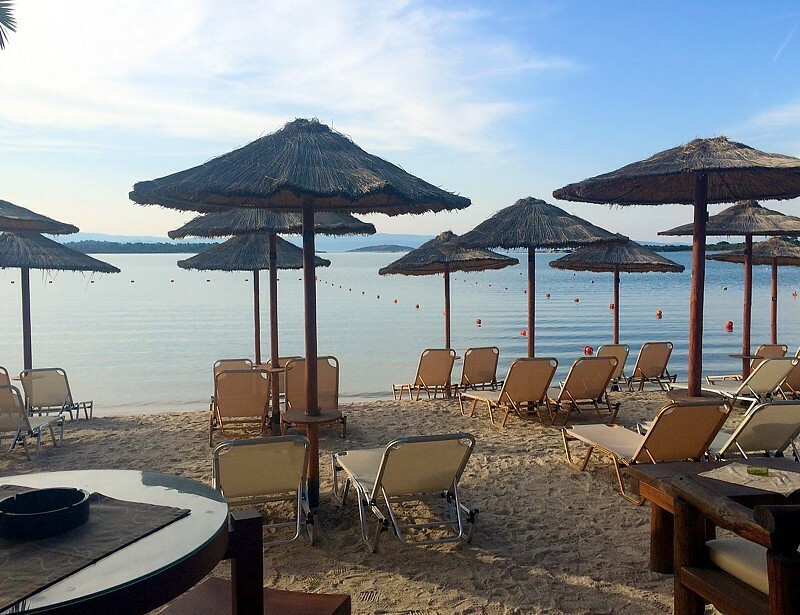 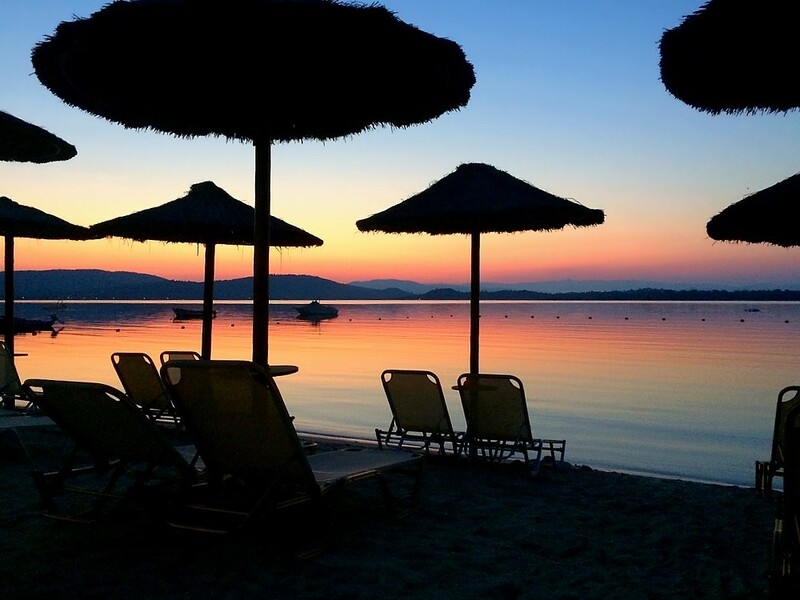 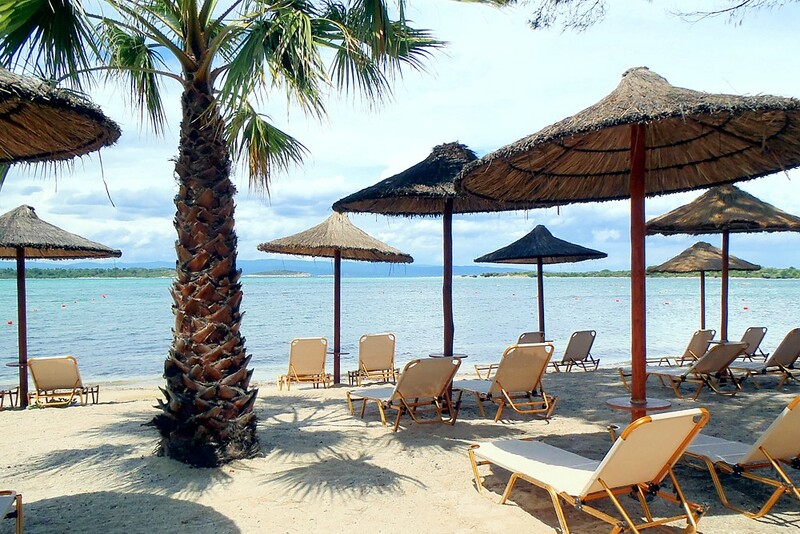 A large number of beach chairs and umbrellas are available on the beach and our staff is happy to serve you everything exactly where you are, in your deckchair. 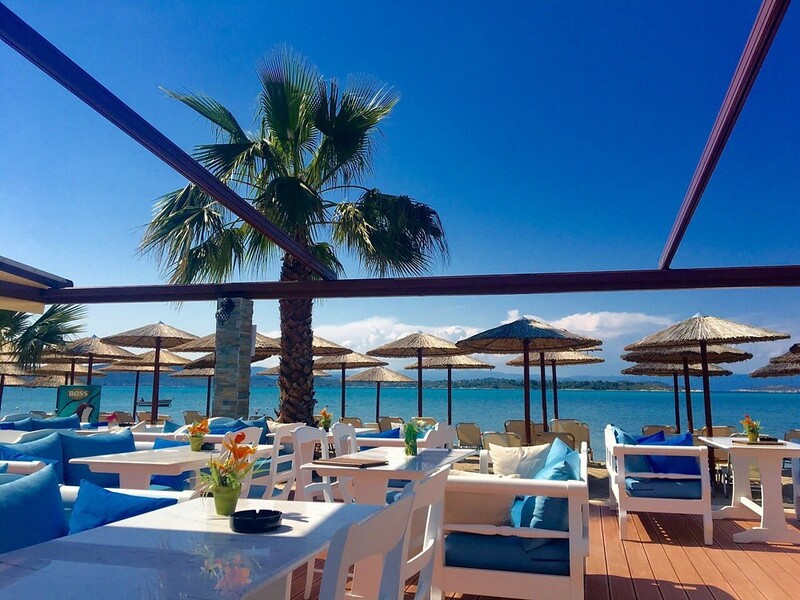 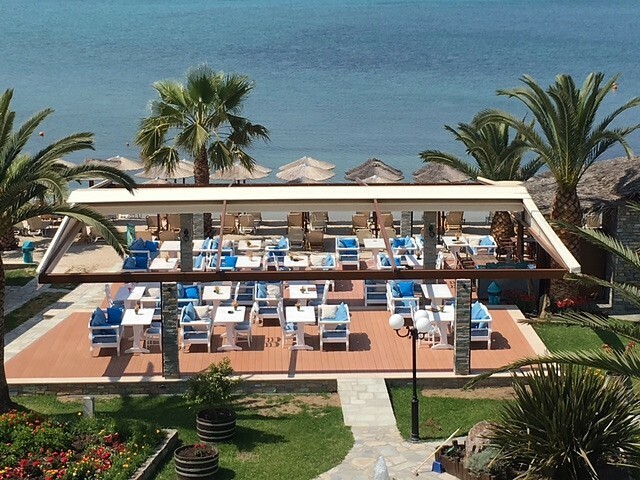 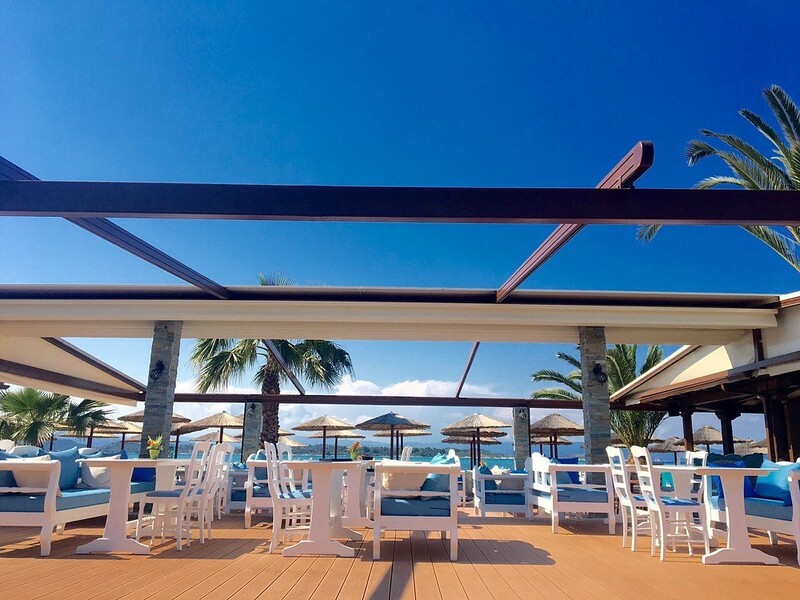 During the morning and midday, quench your thirst with a cool drink or enjoy a tasty snack, while enjoying the sun in the crystal clear waters of the sea! 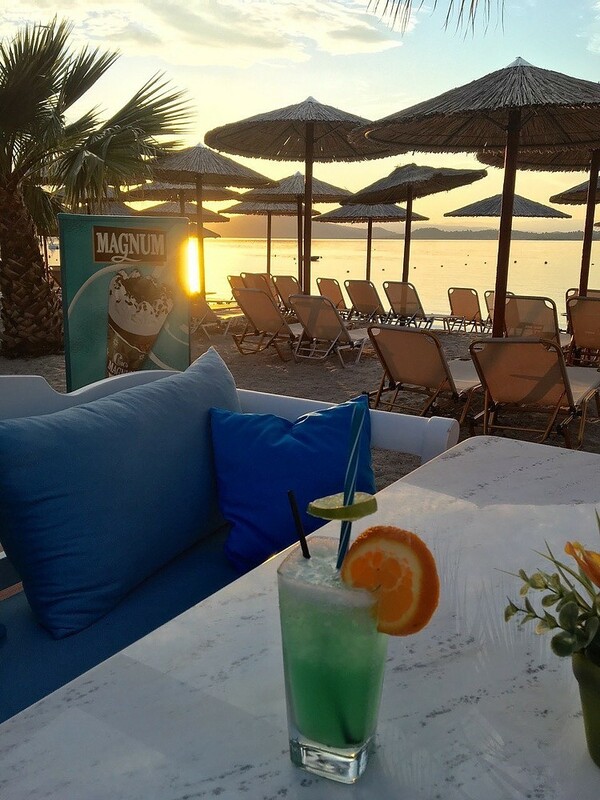 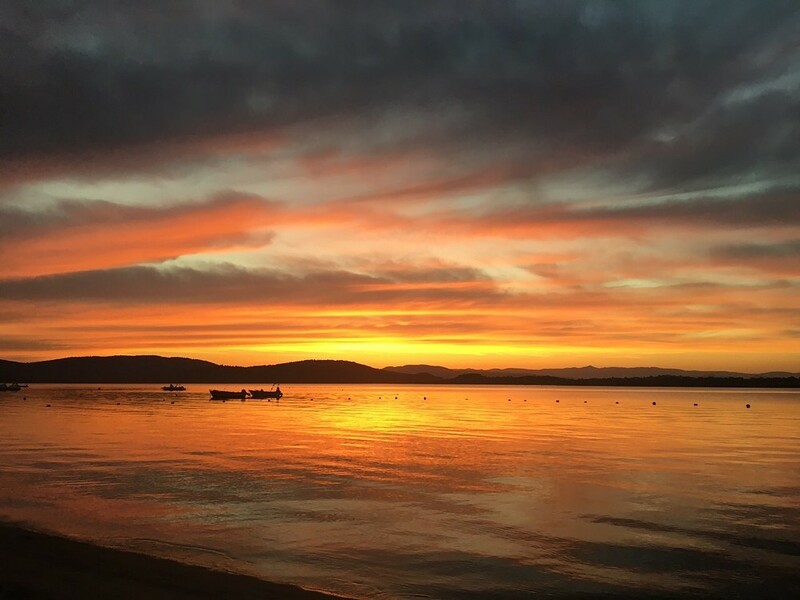 In the afternoon relax while gazing at the breathtaking colors of the sunset! 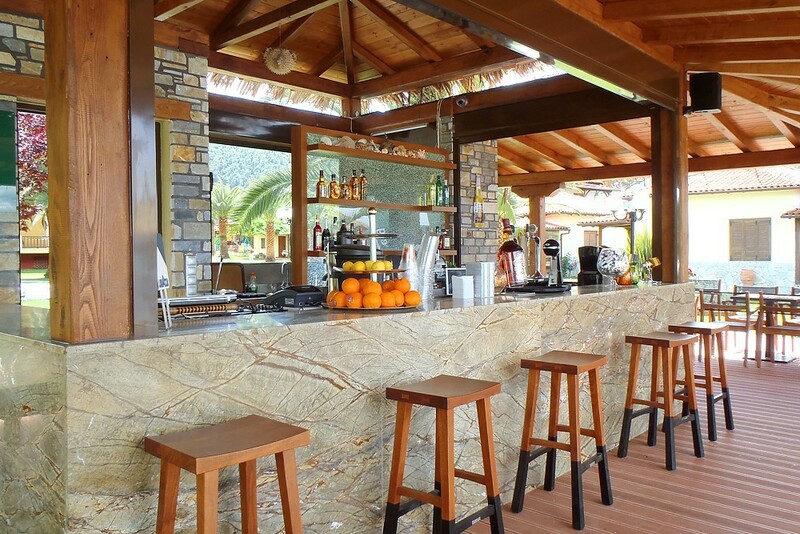 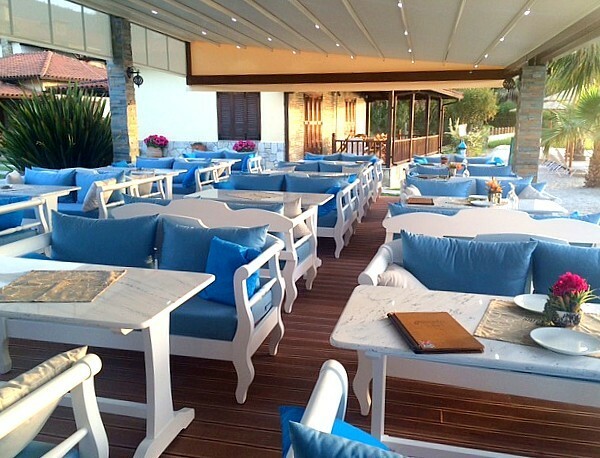 It offers refreshments, drinks, coffee and snacks by the sea.